Here’s something I didn’t see coming. 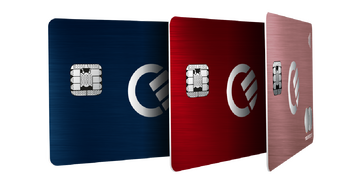 After launching with much fanfare on Monday, American Express suspended its relationship with Curve Card on Tuesday night. This came just 36 hours after Amex functionality was launched to the public. Amex cards had, however, been activated for a test group of Curve Card users for a few months before this. If you look on the Curve website, none of the cards are showing the option to link to American Express. This means that the company is effectively back to the position it was in before Monday. I spoke with Curve’s CEO early this morning and, whilst for legal reasons I don’t want to repeat what he said, he confirmed the position with American Express. “We are extremely sorry that the top-up functionality for your Amex wallet is currently disabled. Amex has given no good or fair reason for their decision and we feel it is entirely disproportionate and discriminatory to Curve and all our (joint) customers. UK payment regulations clearly state that Curve should be allowed to access the Amex payment network on a level-playing field with every other fee-paying and legitimate merchant. If there is any more news during the day I will drop it into this article. “Due to guidelines from American Express you will no longer be able to make payments to private accounts with an American Express card regardless if the purpose of the payment is related to a business transaction. This change will come into effect on the 7th of February 2019. You will still be able to use a MasterCard and/or VISA card for transactions to private accounts relating to business transactions including, but not limited to, payroll, housekeeping, rent, nanny services, etc. Please note that peer-to-peer remittance is still not allowed regardless of card. Note that this only covers payments to sole traders. You can continue to use Amex via Billhop to pay a company, local authority, HMRC etc. My Virgin Atlantic card is giving me 0% FX at the moment until April I think as part of a user-targeted offer… so really no need for Curve for my non-Amex/FX spend. It’s an innovative product but they should have fully ironed out issues with their product before making big announcements. At the moment they are so all over the place it wouldn’t be wise to trust them with you rmoney! Have Curve persuaded a leading firm of lawyers to take the case on a ‘No Win, No Fee’ basis? This kind of case is very rarely taken NWNF, the fee can run to Hundreds or thousands. Some very spurious legal experts suddenly popping up in the comments today! Just spent some of the AMEX top up I put on the other day no probs. Also noticed that the app seems to still let me top up from my linked AMEX, shall I risk it? Might let you but probably won’t go through. Do it TripRep – What is the worst that could happen? Memory loss, as if tuesday never happened! Tried a tiny amount and as expected it was declined. Weird that they haven’t disabled the ability to try and update. Well they’d have to make a change to the code, test it build it and release it and you’d have to have downloaded and installed the update for your app to have been updated to no longer show amex topups as an option wouldn’t it? Might need an app release, may not have resources available as fire-fighting now….? Sorry, but that does not make any sense. Is Uber also a parasite as it uses other drivers’ cars and labour? Are banks parasites too, as they use other people’s money?.. Well no… Uber drivers CHOOSE to work for Uber. People CHOOSE to give their money to banks. Not only are the banks getting no say in being used by Curve, Curve actively ignores their desire to not take part. Not that I personally have any issues with it, your example was just ridiculous. I disagree, it is a *fair* comparison. Both are parasite business models. I don’t even really know what Curve is anymore apart from a way to pay certain bills to avoid card fees, clearly this isn’t profitable for them and isn’t going to last forever so will make the most of it whilst it lasts. I have a fully refundable flight booked with Latam. There is an online form to cancel the tickets, which I’m trying to do and then will book with avios (£288 vs 9000 avios & £14). I’m unable to submit the form as it says I’m not selecting the same country of residence as I did when I purchased it. When I purchased it I could select Ireland. Ireland is not an option on the form. It has Germany or Rest of Europe. I’ve tried every country option and each ahs the same error. I’ve tried emailing them and using the contact form and had no response. Short of calling their Spanish speaking phone line does anyone have any suggestions? I don’t speak Spanish! Their UK number on the website doesn’t work. Rebecca, I remember struggling with the same issue last year. It might be that “the rest of EU” did the trick. I checked my emails and got messages from LATAM from those email addresses: [email protected] and [email protected]. Maybe worth trying to email those? Thanks! I’ll try those email addresses. I rang them in the end. Initially they told me to do it online but they processed it for me when I pointed out I’d been trying all week. Was surprisingly unpainful. And I’ll get the money back in 20 business days instead of the 45 on the online form. Come on everyone- it’s only 265 comments to hit 1000. Last push! Just used 103 GBP of my 200 gbp amex wallet. Worked fine. Place I was in doesn’t accept credit card. Only debit. If only comments had only been open on one of the two articles to drive them up even further too! I have cleared my Amex wallet I topped up just in case. Although I do think these comments are slightly over the top I can’t see it failing due to this, I think it will fail due to a lack of revenue if anything in the long term future. It’s still a great product for me with HMRC. Thanks, Rob for letting us know what’s happening, I think a few people have been unfairly commenting on your participation in this. Yet when you give them a tip for a good deal or use of their points in other situations you wouldn’t hear them complaining. You’re doing a good job! I totally agree, Rob is a cool dude. He’s running a business and good luck to him. Of course he needs to push products, he’s not working x hours a day for the good of society (sorry Rob, but you know what I mean). Keep up the good work. Not read all the comments today, but why on earth did Curve go open beta when they knew they didn’t have a product? Was it the hope of the 180 days period? That is piss poor decision making IMO and not a strategy, also wrecking the image of the company brand. Agree. They’ve really f’d up their image. Not good and barely recoverable. But I hope they survive. We need challengers. Maybe they have kept curve unblocked on the payment front so that they ensure curve does go under/can’t get out of whatever contract they have signed. Make the most of it whilst it lasts! Amex have no control over how funds in the curve Amex wallet are spent. It’s basically akin to having bought a gift card. Curve = Mickey Mouse company with a half baked idea and really no product to sell. The only and I mean only way it makes any sense for clients is if they can convert their points earning Amex cards into something non Amex acceptors will accept. Without that feature, it is worthless. I agree that AMEX compatibility was the draw for a large number of people (not that the latest statement from Curve would have you believe that) but there is still some ‘value’ for some users in being able to recharge a debit card payment to a points earning Visa / MC credit card in those places where credit cards are not accepted outright. Whether that is enough to see Curve survive remains to be seen. I can’t see any history of transactions as my wallet is zero so it wants me to top up. Yes, my Curve top-up of £100 on 29/01 is still showing as pending in my AMEX account. All other transactions from that day have cleared. The £100 top-up has also been used through Curve and my AMEX wallet balance in Curve in only 30p. Mine have all cleared for that day, I emptied my top up balance as quickly as I could. Yes, I’m just on the phone to Amex as I have had £100 pending since Monday and am £90 away from a gold sign up bonus! CS saying it’s waiting for Curve to take the money, they can’t understand why it’s not gone through. I pointed out that the money left the Curve wallet on Tuesday and has been with the two recipients since then; she was unable to explain it and said she would monitor it for a couple of days then send it to the back office if it hasn’t cleared. Looks as though there may be quite a few payments in limbo then if there’s been a total breakdown between Curve and Amex. Only an issue I guess if you’re waiting to trigger a bonus or voucher! same problem here, limbo since monday on a £300 top up, need to trigger the bonus quick. Guess I will book a refundable hotel just in case. Amex pending curve payment totally disappeared…no longer pending or charged…anyone else? Yes, £100 pending seems to have disappeared into the ether. Clearly I now owe this money to Curve but there doesn’t seem a way to send it to them on the app so will have to wait and see what their reaction is. I am still waiting for my £150 to for the useless metal card to be refunded. Has anyone got a refund yet? Nope…they been ignoring me for a week now, considering how cheeky they are, they are probably waiting for the 14days cooling off period to end and then be like, ohh too late now. I am livid!